This is a the last installment of the activity at DemandCon in San Francisco this week. Ardath Albee (@ardath421) kept the post-lunch crowd awake with a lively talk about storytelling. The conversations that you have with customers should involve storytelling. A customer has questions at each stage of the buying process, and in each of your answers you should include a portion of the story you are trying to tell. One of the few panels of the conference focused on the B2B use of social media. The panelists included Kristie Wells (@kristiewells) of Social Media Club, Chris Kovac (@chriskovac), Heather Rubesch (@savvy_b2b), and Mike O’Neil (@mikeoneilrocks). Each of them told compelling stories on how they built up audiences using blogs, Twitter, Facebook, and LinkedIn. The sponsors represented services and web-based solutions that cover the whole length of the sales funnel, from demand generation to deal closing and nurturing for more sales. By the end of the day, other panels and speakers related a consistent message: Marketers and Sales need to work closer than ever before, because the stakes are higher. 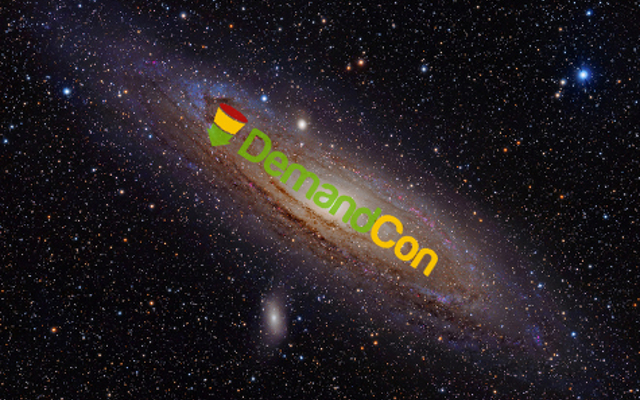 With more demands on organizations to produce revenue, there will be a growing need for the solutions discussed and exhibited at DemandCon, the Center of the Marketing Automation Universe.